How does the Labour Party regenerate itself in opposition? It’s a question many people are asking themselves, and there’s one person in particular – Maurice Glasman, complete with piles of books and evocative cigarette – who’s putting himself about to try to help determine the ideological direction of the future of the party. His Blue Labour ideas (website here, Wikipedia page here) are all over the place in lefty circles at the moment. There’s one pamphlet – The Labour Tradition and the Politics of Paradox – that sums up what the Blue Labour movement is about. From the start the whole idea has worried me for a number of reasons (it’s quasi-corporatist nature, involvement of religious groups, inward looking approach in the face of globalisation) but – above all – I’m nervous about the idea of looking back as the main way to look forward. Society, organisations and political parties have changed since the 1930s. I summed up some of my critique in a post late last year, examining the visions of another of the Blue Labour clan, Jon Cruddas. So what should the focus of the future of Labour actually be? 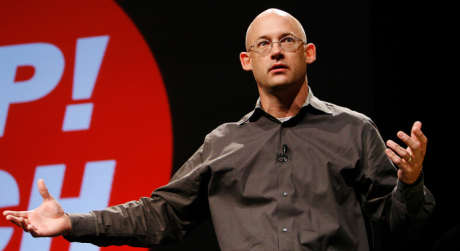 Clay Shirky might just have some answers. Shirky is of course referring to how the internet is changing our societies, and Cognitive Surplus, and his earlier and more digestible work Here Comes Everybody are replete with example of how that is so. Shirky’s argument is that coordinated voluntary action was hard before – how did you find people who shared your concerns? Meanwhile the rise of television and declining social connectedness made coordinated voluntary action even harder (from Putnam). Now with more than 2 billion of the world’s population digitally connected, and younger generations in the developed world actually watching less television than their parents, a new multitude of opportunities for collective voluntary action are emerging. It’s not that the internet is a separate world; it is our world. Fix My Street (UK), MitfahrZentrale (DE) and Couch Surfing (International), to name but three, are changing the way we live our lives and are generating social value. So what does Blue Labour have to say about that? If the pamphlet is anything to go by, absolutely nothing – the only 2 references to anything to do with the internet in the whole thing are about an internet entrepreneur, not about the social changes that mass participation can bring. So here’s the vision of Shirky Labour – given the right conditions and incentives, and a credible commitment from project organisers, the vast majority of the population will do good for their fellow citizens. They will do this in decentralised networks, locally, nationally and internationally, and from behind a computer and on a street. They are not going to be bothered with organisation building in draughty church halls because the internet means they do not need to do that. The question Labour needs to ask is how to foster this innovation, rather that turning its head to the past and dreaming of times past.